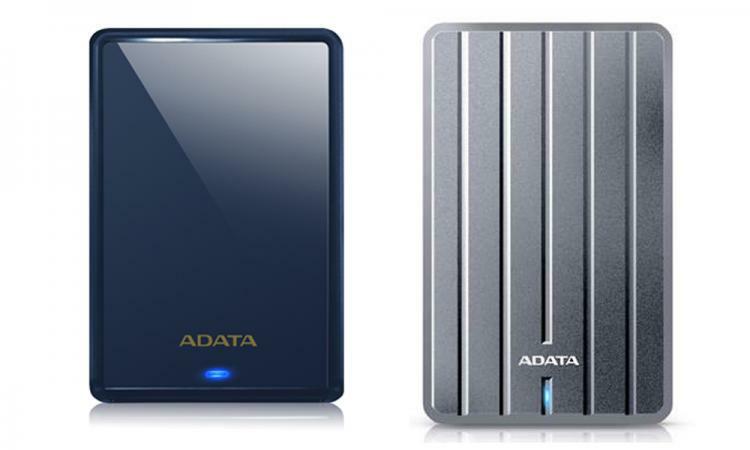 ADATA technology updates its Premier SC600H and Premier SV620H portable external drives with 3D NAND SSDs. ADATA commits to moving their external SSDs to the 3D NAND Flash technology and refreshes existing models. The ADATA Premier SC600H and Premier SV620H featuring 3D TLC NAND flash offer better reliability, durability and efficiency. Also, the Premier SC600H and Premier SV620H will feature faster connectivity options having the USB 3.1 Gen 1 interface. With the 3D NAND flash, capacities have increased to 256GB and 512GB from 240GB and 480GB for the older models. The new models with 3D NAND boasts performance of 440MB/s read and 430MB/s write for both SC600H and SV620H. The Premier SC600H external SSD is just 9.5mm tall and weighs at 73 grams making it thin and lightweight. It has a slim enclosure for portability which has an electroplated and textured titanium coating that gives the SC600H resistance from scratches, paint chipping, finger prints and shocks. The Premier SV620H is also slim and lightweight featuring 76 grams in weight and has a flat surface that’s raised 0.75mm from the surface so when it is moved around the desk, scratches are minimized. It also has a cool blue LED activity light. The improved Premier SC600H and SV620H external SSD drives doesn’t only feature increased capacities and improved performance, the new models are also more energy efficient making it lighter on laptops and mobile devices. The newer models also feature cool and silent operation.